With strong conviction, I can say that we are extremely fortunate to be living in one of the most exciting times in history right now. I’ve become so passionate about some of the opportunities before us that I’ve lost considerable amounts of sleep in recent days. I’ve been researching and thinking deeply about investment opportunities, some of which I’ve already begun taking. I wanted to take a moment to share some of them with you, and to provide some of my own insights regarding where I think we’re heading in 2018 and beyond. Whether or not the majority of people realize it or not, we’re living in a very interesting time. First of all, one could easily speculate that a war will take place with North Korea in the near future. Secondly, blockchain technology with bitcoin and other cryptocurrencies is improving and starting to take off. Transportation on Earth using electric energy and also transportation to/from outer space is dramatically improving. Not only through SpaceX and Elon Musk, but through the world’s richest person, the owner of Amazon, Jeff Bezos, who is heavily invested in space travel. Robotic technology and artificial intelligence is just now starting to take off in parallel with the Internet of Things (IoT) and the Industrial Internet of Things (IIoT). I think it’s important to take advantage of the huge opportunities that lie in front of us in order to benefit financially, and there are a lot of ways that you can do it. In fact, not doing anything will hurt you. Healthcare costs are outrageously high in the United States of America. Pensions for retirement have disappeared. It seems that every direction you turn, companies and organizations are trying to nickel and dime people to death with monthly bills and services. This includes your cell phone bills, tv, utilities, insurance, car payments, etc. This basically means that people are now having to rely more than ever on their 401(k) accounts and IRAs (both Roth and Traditional) to retire comfortably. As a result, I believe it’s important to set goals for yourself, financially. If you don’t have a Roth IRA set up, for example, you’re missing out on a lot of tax free realized gains in the future. Even though there seems to be no end to the corporate greed in this country, rather than going against the grain and not investing in the markets with the rich and über-rich, it’s important to maximize your own exposure to it. Here are the top 5 things you can do to benefit from this very interesting time in history. Each of these is listed from top down in the order that I believe will make you the most money in 2017. For someone who doesn’t know much about Bitcoin and blockchain technology, cryptocurrencies can be very confusing. There are a lot of articles online these days trying to bring people up to speed with what they are and how they work. I spent $1,000 on some Bitcoin back in 2014. Today, it’s worth just north of $12,000. Just last week, I bought $1,000 of Ethereum (another type of electronic currency) and it’s already up to $1,400. Things are just getting started with this stuff. I think it’s safe to call this a high risk, ultra-high reward investment. I also purchased some Litecoin last week for the first time. One exciting development was announced today by Microsoft regarding the improvement of the blockchain technology. The effects won’t occur until 2018. Don’t ever think that you’ve missed the boat with an investment. It’s never too late. But, you might be asking or thinking to yourself “How much should I invest… I don’t have very much money…” Take this into consideration; One of my friends put $150 into Litecoin in 2014. It was $3 per coin. He bought 50 of them. At today’s value of $47.58 per coin, his $150 investment turned into $2,397. That’s a 1,500% gain in less than 3 years! Here’s one way, which is probably the easiest and most popular method right now: Set up an account with Coinbase online. You can get $10 of free bitcoin by using the link above. This will establish your own ‘wallet’, and I think it’s the best way to go. Diversify yourself as much as possible among all of the cryptocurrencies available on Coinbase. To make things even more exciting, let’s say that a developing country decided to standardize on Bitcoin or another cryptocurrency for their main currency. Prices will skyrocket! Banks are already viewing e-currency as a new way to do business. The possibilities are endless for this. Be ahead of the game and invest in it today. 2) Bet against the stock market. I’ve said this before in 2014 and 2016, but I believe the market is still overvalued. Betting against the market is never a long term strategy that I would promote, but for the short-term, I think it is a very well deserved risk. If you’re always betting on the market going up, which is not a very bad strategy at all, by the way, you better have a pretty “boring” portfolio that is very diversified, and you better also be fine sitting on the sidelines when everyone else is taking advantage of the drop. Look at the chart below of the S&P500 to see how high it is. If you zoom in to the most current part of history with the S&P500, you can see that it appears to be stagnating a little bit. Betting against the market is a short-term strategy, and it is not something that I would ever suggest as a primary strategy for anyone. I believe that 80-90% of a person’s investments should be long-term. If you don’t already have an online account set up for buying stocks, that would be the starting point. There are a lot of options out there. You can even do it from your smartphone these days. Robinhood is a really interesting choice if you don’t have a lot of money. A standard choice would be Charles Schwab, TD Ameritrade, Ally Invest, or Scottrade. A really good one that launched in 2010 is Motif Investing, which I would also highly recommend. I had also been looking at Loyal3 in the past, which recently changed to FolioFirst, but it is aimed at IPOs, primarily. Another interesting one is iBillionaire, which allows you to set up investment patterns on a weekly or monthly basis for $1/month. There are new ways to invest that are coming out all the time. Again, I think we are living in an extremely interesting time in history. For more information on how to select an online broker (I’m not talking about your 401(k) account), please refer to my previous blog post here. This is always a smart option. Always. Just do it. Buy a property. This is easier said than done since buying property or land typically requires a large amount of capital. The larger the down payment, the lower the mortgage payment is, which is something you will want to strive for in order to rent out the property successfully. 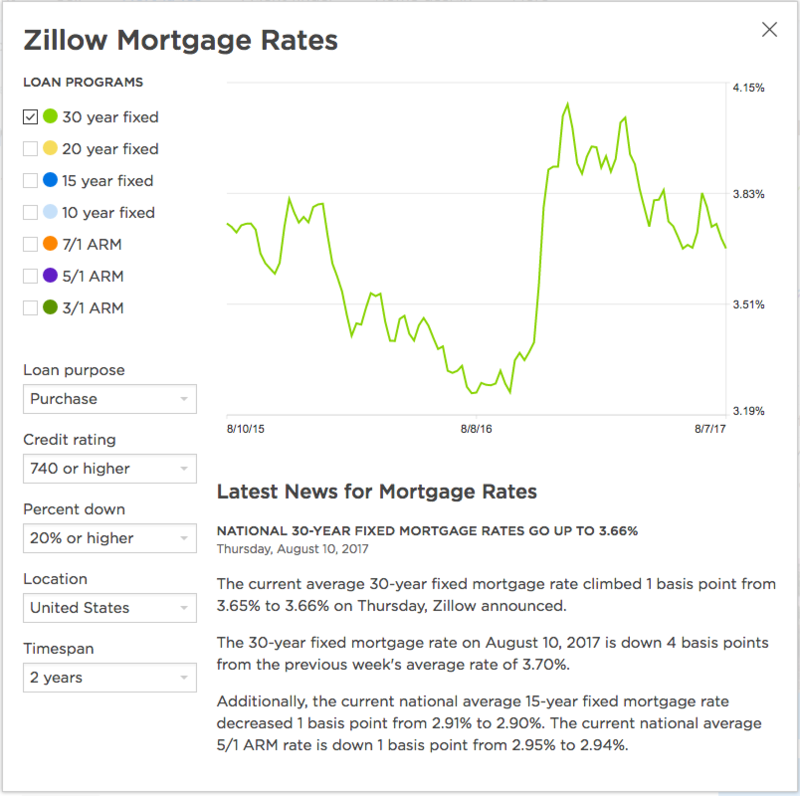 With interest rates as low as they are today, hovering around 3.75%, this is still a no-brainer decision. If you can’t afford to buy a property or a second property and you’re not investing in stocks or anything else outside of your 401(k), then let me ask you this: Do you think large corporations can afford to buy half of the stuff they purchase? No. Do they make more money from their purchases with borrowed money, and are they successful? By and large, the answer is ‘yes’. Find a way to buy a property if that is what you are interested in doing. There are a lot of books on the topic, too! 4) Bet on the upcoming energy revolution. This one gets me really excited. I had a major “ah-hah!” moment last week when a friend of mine posted something about buying an ordinary Apple laptop in 1997 for $5,700 and then trying to sell it today. How much do you think it would be worth? Well, considering it’s antiquated technology now and that nothing in particular was special about Apple’s laptops in 1997, if you put it up on eBay, it would go for roughly $50. That’s horrible, right?! Now, if you had put that same $50 in Apple’s stock, it would be worth well north of $330,000! I was seriously considering buying a new Tesla Model 3 car and I had placed a pre-order for it late last year. And over the past couple of months, I’ve been shuffling funds around in preparation to pay for the car, wondering about the finance plan that will become available. $35k is a lot of money. At least for me it is. Well, now I’m really having second thoughts. I think that the $35k could be much better spent buying Tesla’s stock or putting it into something else (real estate, for example) as an investment, rather than buying a car that depreciates 30% the day you buy it. If Elon Musk’s predictions are correct that Tesla’s valuation as a company rises to $700B or $1T by 2025, that means the stock could be worth 12 to 17 times it is today. $35k would suddenly balloon to anywhere between $400k to $600k! In 8 years! That’s pretty amazing to think about. And it could really happen. A lot is riding on the success of the Model 3 right now. In fact, I’m very confident that it will be a popular car. I have a lot of friends who are skeptical, and they have a right to be skeptical since Tesla is operating on enormous amounts of debt. Even if the Model 3 isn’t successful at first…. for example, if the price is too high….. I’m confident that Tesla has the ability to quickly change their strategy. They would have to since they’ve invested a lot of money into the Gigafactory and they are looking at starting another Gigafactory in China. They have too much in the game at this stage and I can guarantee they’ll do whatever it takes to be successful, even if it means dropping their prices, which I doubt will happen. Elon Musk is a genius, and he also knows the importance of diversification, which is why Tesla is producing solar roof tiles and the Powerwall 2 home charging stations through acquiring SolarCity. This is an answer I can’t provide directly since it involves more risk than I would ever promote, and it is not simply to ‘Buy $TSLA stock’, either. Although, if you support Tesla and Elon Musk’s vision, then owning $TSLA stock is of course not a bad idea. Bear in mind that it is severely overvalued today though. I believe there are lot of ways to benefit from the upcoming energy revolution. A large majority of people thought the energy revolution with solar power would arrive in 2007 and 2008 when that was actually just the global market testing the waters, planting seeds. If you had invested in solar stocks back then, you’d be hurting really badly. Nobody knows about the timing for these things, but I honestly believe that we are on the brink of a revolution and that Tesla will be involved. It was bad timing with the market crash in 2008/2009, and it was also bad timing with the government incentives and tax breaks that were swept away for so many corporations. It’s too early to know what will happen, but don’t be afraid to take some risk here. I believe it is well worth it. If you own a home and want to increase it’s value, consider installing electric service in your garage for an electric car. Even if you don’t plan on driving an electric car yourself, something as simple as that could have an enormous impact on the people who buy your house in the future! 5) Keep your finger on the trigger for AI, IoT and Robot investments. This is another interesting topic, which deserves a blog post all on its own. It’s too early to know what trends will emerge and what companies will be the main players, but I believe that Google, Apple, Facebook, Nvidia, Tesla and Microsoft will play important roles. Also, somewhat unrelated, but Alibaba and especially Baidu are companies to keep your eyes on. I’m a big fan of these companies. Let’s see here… Ask me again in 1-2 years! 😂 Just be ready for this upcoming revolution and keep your eyes and ears pealed for people talking about this. In my opinion, it’s a little bit too early to place any types of bets on companies in this space, but I would be very curious to hear peoples’ thoughts here! This entry was posted on Thursday, August 10th, 2017 at 7:23 pm and is filed under Uncategorized. You can follow any responses to this entry through the RSS 2.0 feed. You can leave a response, or trackback from your own site.